A regional daily which has been without an editor since July has topped the circulation league table for the second time in a row. Today’s six-monthly ABC figures for the period July to December 2015 showed all UK regional dailies lost sales in the second half of last year compared to the same period in 2014. However the title showing the smallest decrease was the Lancashire Telegraph, without an editor since Kevin Young left the role in a restructure last July. The Newsquest-owned title, which posted a sales drop of 1.6pc in the period, also topped the league table in last August’s figures, when it was the only regional title to increase its circulation year-on-year. However the LT appears to have maintained its position at the top of the table by dint of the number of free copies its gave away during the period, with only 85.3pc of copies paid-for. Today’s figures show Wolverhampton daily the Express & Star remains the UK’s biggest-selling regional daily with an average circulation of 62,332, albeit down 12.9pc on the second half of 2014. No year-on-year figures were shown for the Trinity Mirror titles which report their circulation figures monthly, although six-monthly figures showed the Manchester Evening News down 14pc and the Liverpool Echo down 12.3pc on the first half of 2015. I had to read the EDP and EN figures twice as I genuinely couldn’t believe how bad they were coming from an already hugely eroded readership base over the last 3-4 years and now to have fallen to these all time low depths from which surely recovery is impossible. With a Norfolk population of around 860,000 the EDPs shameful 38,000 copy sale means it’s now reaching little over 4% of the population or potential audience which must cause serious questions to be asked about its future viability as a published newspaper, if people aren’t buying it what’s the point of dragging on incurring further damaging costs to do so and trying to attract a market that’s no longer interested. However knowing how the spin masters at Archant work they will no doubt be patting themselves on the back that their Norfolk papers have not lost as high a percentage as many others( seriously ) and that this is in fact positive news and something to celebrate! that’s how low the bar has been set at Archant these days and how poor expectations are. To those who remember the EDP as a credible publication it’s criminal to see just how far this paper has been allowed to fall and with its audience all but gone surely the only options are to bundle up with the dire evening paper and go as a free daily or to cease throwing good money after bad and close it altogether. There’s no possible justification to carry on incurring costs and no other alternative than those mentioned. All I can say is there must be some embarrassed people rattling around Archant towers today who’ve been part of its rapid decline and yet who’ve stood back and watched it implode, and all on their watch too. The 5-10 year plot for some of these declines is basically terminal. Good luck to the new MD arriving in DC Media faced with those figures! The 5 worst and shocking year on year performances are all JP titles. And they’ve just taken in on a national newspaper in a fiercely competitive market. Doesn’t augur well. 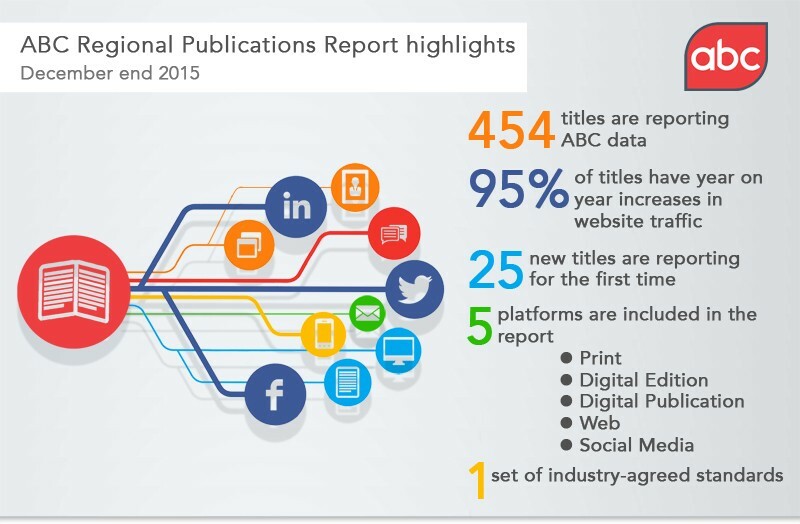 Interesting that the only title recording ABC growth figures is the one without an editor, what does that tell you ? ABC figures are the only true reflection of a papers worth with all the other meaningless smoke screens of Twitter followers Facebook likes and online page visitors being used to divert attention from the real state of the core products these days. Juan Archant: I trust you have put these points directly to the managers you continually berate at Archant, instead of tapping away bile-filled essays in a corner somewhere? To see a once-superb former evening paper like the Argus at Brighton (regional newspaper of the year once I think) fall from 115,000 at peak to just over 12,165 despite the hard work of the vastly reduced workforce is depressing. They deserve better, even if NQ don’t. Don’t care what the stats say about one paper, local papers without editors is a BAD idea. My local is under the tender care of a so-called editor in chief. It doesn’t look like it is edited, judging by the terrible grammar and writing styles and factual errors. I won’t name it, but it is largely written by a bunch of keen hard-working beginners who need an editor on the spot to guide them. At what point are those who are forced to place expensive statutory notices use this to pull the plug on them (justifiably) ? Glad to see the Courier and Evening Telegraph in Dundee, both of which I used to work for, are doing reasonably well compared to many other titles – as are their sister papers in Aberdeen. Maybe that’s the result of being owned by a family company – DC Thomson – that still seems to care about its papers and not just the bottom line. Quite a contrast with the figures for the Scotsman and the Herald, both of which look to be in real trouble. Its incredible – and rather sad and worrying – that cities the size of Edinburgh and Glasgow are having such difficulty in sustaining morning newspapers. You might want to look into the figures a little bit more before making rash statements. Lancashire Telegraph have massively increased free copies this period – no wonder the yr/yr is looking good! Don’t think it has anything to do with editors. No doubt some of the other top performers have done the same with free copies too. Juan Archant, the EDP’s percentage audience reach is even lower as the EDP sells not only in Norfolk but also parts of North Suffolk and fringe Cambridgeshire too. Constantly red red whiner and appears I’ve hit a nerve? On the basis of these figures, the circulation half-life for the average regional daily title is less than six years. But the reality is the decline in advertising will kill the patient first. And the digital cure for many is too far away. Expect a tsunami pre 2019. For JP……..
Juan, Yes the situation is grim, but as the figures show Archant are managing the problem more effectively than most, and Archant score way ahead of JP or NQ in terms of staff attitudes, in all factors – Culture and attitudes, Worklife balance, Senior management, compensation and benefits, Career opportunities. So cheer up, go for a pint, life’s too short. Just seen the Johnston Press titles at the bottom of the pile…. Sssshh everyone – no-one tell Harry Blackwood. It’s not pretty when he blows! Elsewhere there is bright talk of increases in web traffic from regional publishers as though that is the panacea for these ills. And what ills they are. People in charge in any other industry would be sacked based on such results. And I don’t mean the editors left carrying the can in public for this mismanagement. 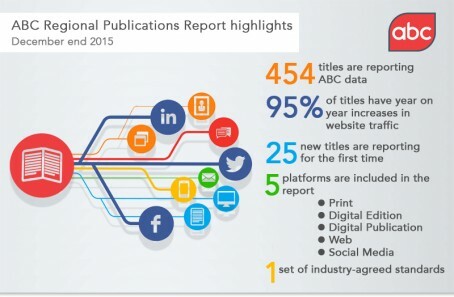 What no-one will admit publicly – either those in charge now or those who have ‘had a go’ at leadership or strategy for the past five years or so – is that the rush to digital has been a major cause of declines in circulation of titles with no corresponding leaps in revenue, because digital doesn’t work like that. It is my fervent hope that figures like those published today will finally force those in charge to admit that a) their strategy has been wrong and b) they have now damaged portfolios beyond the point of no return (or should that be low returns?). Most of them are short term stewards of the business anyway – their relatively lucrative packages whilst operating in regional communities mean it’s hard for them to behave in any other way than to cut costs and investment in order to sustain the profits their HQs want. They are looking after number one, not looking after what should be seen as a community asset. Time to go boys and girls, time for the ‘big five’ to realise the damage done and exit this sector and hand the newspapers to those in the community who will run them for something more visionary than short to medium term profit. It will mean cutting your losses and not receiving much for your ‘assets’ but it will be a darned sight more than you’ll get after five more years of the kind of figures we see above. And where are the facts and scores about staff attitudes you speak of wyldeboar? In all the time I’ve worked at Archant I’ve never seen them or been consulted in any staff survey along those lines? If this ulikely claim is true it must be a nightmare working at the other places then. Well said, Ivor. Personally, I’m behind the idea of no editors. Bring it on. Isn’t it time a lot of these dailies went weekly before loads of journalists lose their jobs? A bumper weekly newspaper together with a daily online presence/decent app is surely the sensible way forward. I see Newsquest still hasn’t ventured into the app age. Oh dear, three of the biggest losers are JP papers. Sunderland Echo, Shields Gazette and Hartlepool Mail all down by about 20%. Churn out a rubbish product and people won’t buy it. Simple really. When I edited a JP paper, it was blindingly obvious that the people running the company were focused on advertising. Editorial was viewed as a cost. I told them many time that only a tiny percentage of people bought the paper for advertising. JP has never invested in editorial. That’s why many of their papers won’t be with us in a few years. Some will go this year. I can remember when the Yorkshire Evening Post sold over 200,000 copies a night, sad to see the figures now. 686 copies for the Doncaster Star? How on earth does that still keep going? Disaster for the three JP North East daily titles, especially with so much investment into outsourced research & relaunch of these titles. These figures are worthless as they contain free copies. Any paper can improve its circulation by dumping thousands at railway stations. Can we not have the real figures? Yeah Gods. Having had the honour (then) to have worked on all three of JPs North East dailies, The Echo, Gazette and Mail I can only shake my head in disbelief at their woeful sales figures. Shame on anyone who has allowed this to happen. I,m sooo glad to be out of an industry which is committing corporate suicide. My sympathies to those forced to suffer management fools gladly. I have never smiled so much since I got out from under the yoke and, yes, the south west is much warmer than the North East but it’s still not home. Emily Moor. Yes there were some great evening papers around in the 80s and 90s and wonderful to work for. The Brighton Argus mentioned elsewhere was one of them and has regrettably suffered the same fate as the Yorkshire Post for the same reasons. These were never the same once they became rather stale and under-staffed next day papers,with the website breaking news immediately and killing the golden goose that was still laying most of the eggs! I am stunned about the collapse in sales of the Wolverhampton Express & Star. In just 10 years its circulation has halved. Will the Graham family bite the bullet and persuade the Editor his talents lie elsewhere? Time for a new broom there and at its website. I know Trinity Mirror publishes its figures monthly (why I don’t know as they are still down month-by-month), but surely it isn’t hard to find what the titles were selling 12 months ago to add a year-on-year comparison in line with all the other newspaper titles on the list? It clearly can’t be good, what with the Birmingham Mail now down to 24,000. In 1984, the Battle of Orgreave marked the end of the olde worlde of steel and coal mining – an industry which provided jobs, allied trades, homes and community. This month marks 30 years since the demise of the mighty Morning Telegraph in Sheffield which died as a result of a new business model which did not include coal or steel. With digital, we now have another business model so you can safely kiss goodbye to any remaining localism in newspapers as community now means Facebook. I can’t say I’m surprised but there are some bitter and twisted comments here, revelling in the editorless paper doing so well (least bad). My take on the editorless paper is that there is probably an extremely able number two who is standing in or there is a very good team which has risen to the challenge. The game is almost up. Socking to see the Scotsman sink to such a low. PROVINCIAL. so they get the paper out on the cheap with no proper editor. Good wheeze. Of course those who step in get a big pay rise??? That’s about the size of it, offside. I’ve no idea what the staff are getting by way of ‘stepping up’ money – probably zilch. I’m not suggesting it is a good idea but making the point that someone very good must be making the editorial decisions, with or without an editor. No doubt backed up by a very good team. Remind me again why newspapers took the kamikaze decision to start giving away all their content online for free? Is it too late for us to back off from this reckless policy? Something radical is needed. Close down the news and sport sections of those websites NOW. Make them just for homes, jobs and services etc. What’s to lose? Nothing, judging by these figures. I’d be more concerned, CPS, that Facebook, Twitter and Google have damaged newspaper sales to a much greater extent than newspapers’ own websites. Shutting down websites in an attempt to bolster newspaper circulations is simply the wrong choice. Other sites would (and have) taken their place. Cat Pain Sensible, I’ll remind you. It’s because regional newspapers have been losing sales hand-over-fist for the last 30 years and, at some point in the next decade, the vast majority of them will be unsustainable if print-only. Although a much smaller amount of money is being made in digital and no one has discovered a magic formula yet, at least those revenue streams are growing. Not quick enough to fill the gaping hole left by print or prevent further staff cuts but, if you want to stop putting your content online now you’ll have almost no audience or money at all in a very short space of time. Just remember, the newspaper is not the product; the content within it is! The battle today is providing content which people want, then delivering it via the medium they wish to receive it and finding ways to monetise that without impacting upon the quality or user experience. Given the plethora of digital tools out there for people to deliver niche areas of expertise themselves, everything we do has to fundamentally change in order for our content to remain relevant. We’re simply not adapting quickly enough due to nervousness and under-investment from the big boys at the top!